You still probably can't get tickets though. If you pay any attention at all to the world of theater, you know that Hamilton is the hottest thing on Broadway right now. Tickets have been sold out for a while, and after the cast performed the opening scene of the musical live at the Grammy’s, it seemed like the whole country rushed for resale tickets. But one group of Washington D.C. theater-lovers rushed to 7-11 instead. 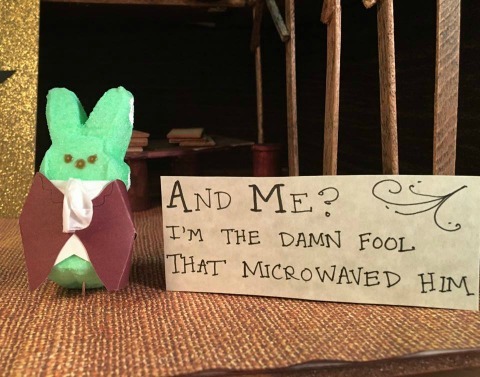 The Washington Post holds a Peeps diorama contest every year around Easter, challenging the craftily inclined to build mini stages for everyone’s favorite sugar-coated marshmallow rabbits. Kate Ramsayer, Helen Fields, and Joanna Church had entered the contest last year, and when Hamilton came across that Grammy stage, they knew they had found this year’s diorama. 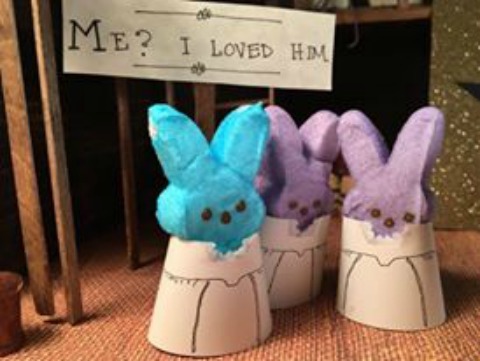 The diorama set is pretty spot on, and the Peep-ification of the characters is spot on as well. 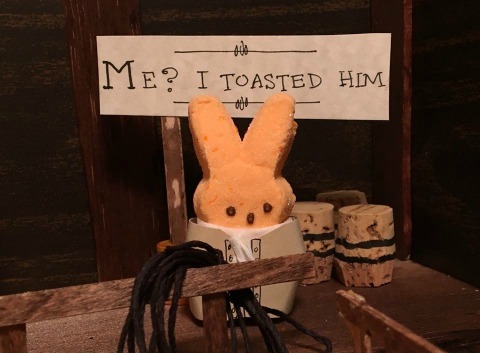 The contest hasn’t finished up yet, so you still have time to think of something that might beat out Hamilpeep (but we doubt you can beat them). 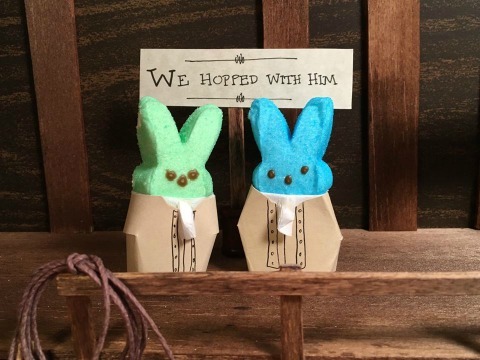 Save that arts-and-crafts supply money and put it towards discounted day-after-Easter candy instead.